This week’s entry is not my typical blog, but because it’s Christmas, and at Christmas you tell the truth – so here goes. A couple of weeks ago, a coworker said to me, “I have Santa and Elf on the Shelf covered, but I need to know how to add a little Jesus to my son’s Christmas.” At first I was taken aback but then encouraged because shouldn’t we all, no matter where we are on the journey, ask how we can have more Jesus in our Christmas. After giving some practical ideas, my advice was to not only add Jesus to Christmas but to her son’s everyday life. Why is it that each December we sing “let every heart prepare him room” then fail to continue to prepare room for Christ the rest of the year? If you have never had spiritual conversations with your children or young people in your realm of influence, Christmas offers a perfect opportunity to do so. The next generation, more than any other, needs the Hope of the world which comes through a Savior. Poverty, the threat of nuclear war, economic hardship, and terrorism cannot be solved by young people who rise up for a cause if they fail to bow a knee to the One who offers salvation and hope. And while I believe the next generation is marked for greatness and will leave an incredible mark on the world, we are selling them short if we fail to instruct our children and students in faith. So our greatest gift as parents, teachers, and leaders is to openly discuss the Hope of the world with our students. Ask your child what the true meaning of Christmas is and see what he or she has to say. Some of us have more liberty than others to do this with the students we work with and serve. And while I am not at school reading the Bible and giving altar calls, I do take the Hope of the world with me each day. 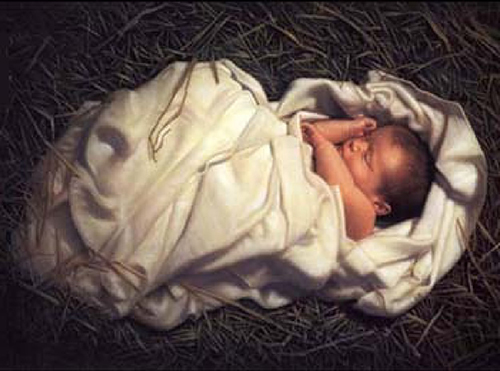 If your student is in my class, I have individually prayed that he or she knows the real meaning of Christmas. Do you have children, grandchildren, students, neighbors, or friends who you can encourage in their faith this season? Great word, Susan. Thanks for sharing!